At last, glasses are useful! Snapchat... ooops, that should be Snap Inc. since the rebrand... have released a pair of sunglasses with built-in video recording. The Spectacles, as they are named, can capture circular videos and photos and immediately upload them to Snap Memories. You just tap a button, the glasses start flashing, and the video starts to upload. Mmm, okay. There isn't a lot of detail there about how they work, but it seems you and your skateboarding friends will have lots of fun wearing them. 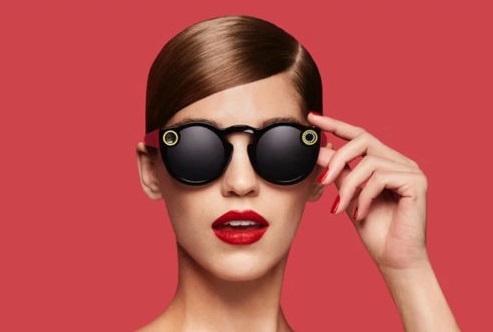 We're assuming some kind of Bluetooth connection to your phone, which will do the actual uploading, but Snap Inc. say the Spectacles will carry a charge for an entire day of videos and photos. Also the carry case doubles as a charger, which sounds pretty cool.